Briana and Glyn, and their Happy Engagement. Briana and Glyn grew up less than a mile a part in New Jersey, but never met. It wasn't until a fateful Thanksgiving Eve that they would meet and soon fall in love. 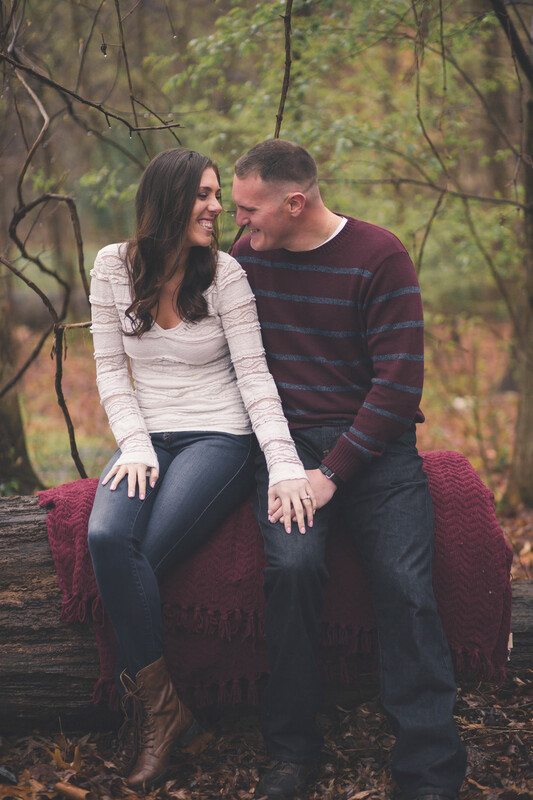 They got engaged and moved to Elkton, Maryland for Glyn's job as a Police Officer for the Maryland Transportation Authority and are eagerly awaiting their August 2017 wedding. 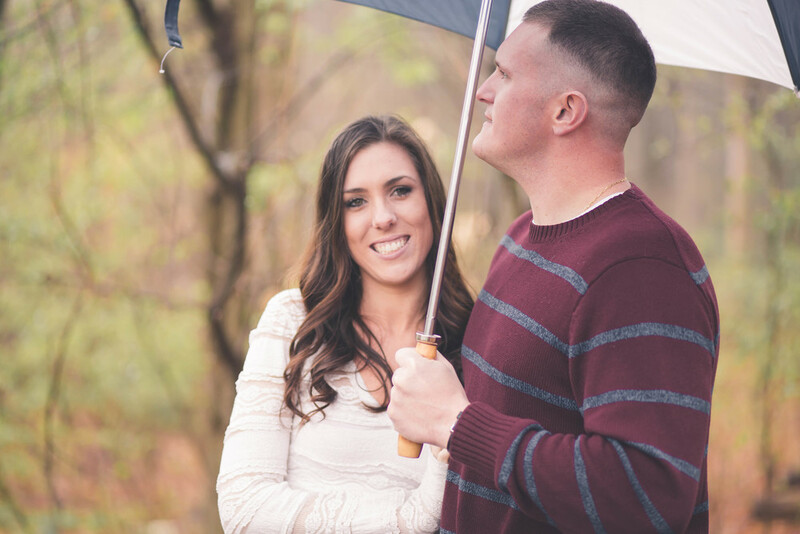 I was fortunate enough to be able to capture their engagement session on a rainy day in Elkton. Despite the April showers their love shown through with their radiant smiles and cheery attitude. Congrats Briana and Glyn, I wish you many years of happiness on your journey together in life. Briana and Glyn, engagement session in Elkton Maryland.